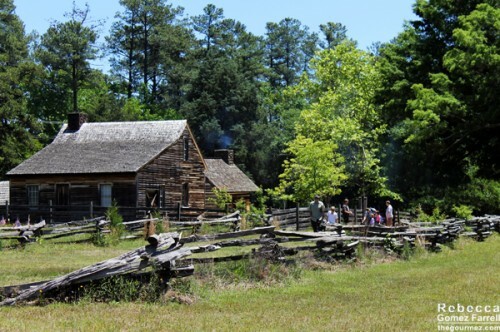 One of my goals before we move is to hit up a few North Carolina heritage sights I’ve wanted to explore but have never gotten around to before now. One was checked off the list on Memorial Day when my friend Ellen invited us to join her at Bennett Place in Durham. What’s Bennett Place? Only where the largest surrender of troops took place at the end of the Civil War! 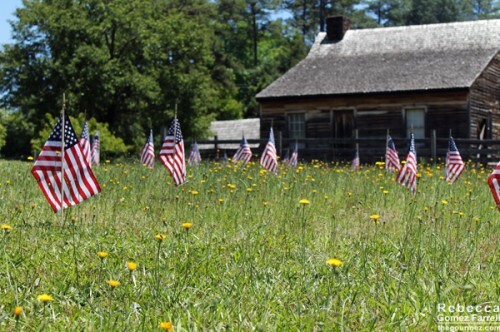 The peace was signed in Hillsborough, but the troop surrender happened at a farmhouse in Durham about halfway between General Sherman’s and General Grant’s headquarters in Greensboro and Raleigh, respectively. The actual farmhouse was a victim of fire, as is often the case. Its chimney survives today. 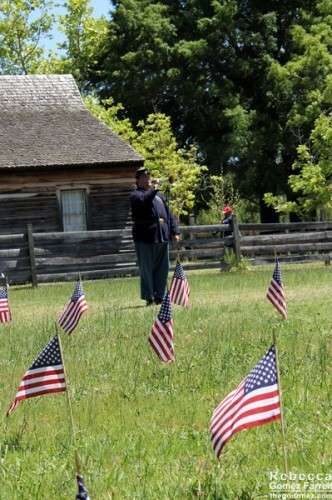 The rest of the restored home was moved from up the road and decorated to reflect to the time period of the troop surrender. 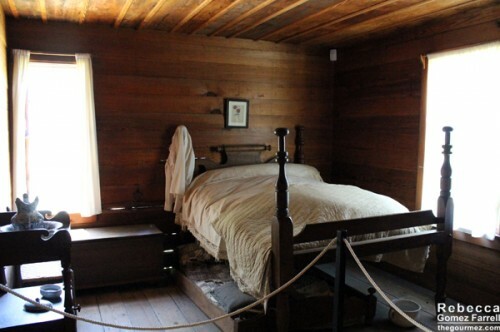 One of two bedrooms in the farmhouse. 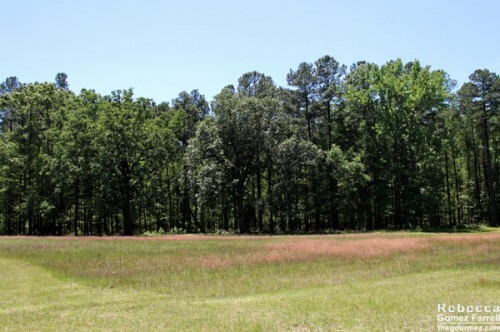 Bennett Place is located in western Durham (4401 Bennett Memorial Drive) and is easily accessible. It is free, though donations are accepted. On a normal day, I’d say 90 minutes would be enough to tour the grounds and the museum in the visitors’ center. 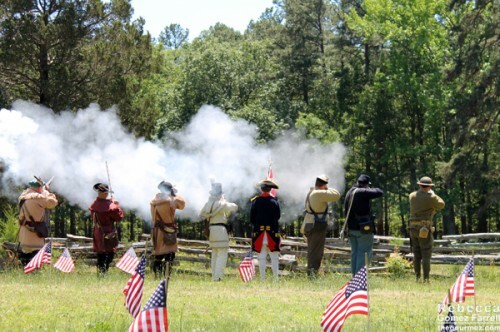 But on Memorial Day, they hosted a weekend of events, complete with reenactors from many different US wars, so more time was needed, and I’d imagine that’s the case with any special event. 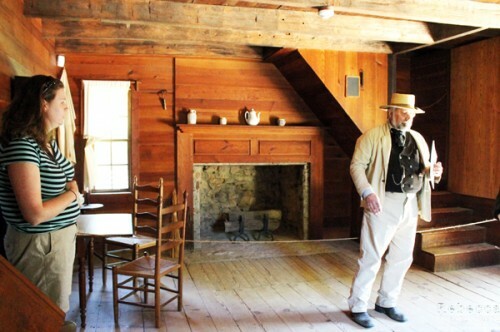 Especially if one of those reenactors whisks you away to teach you Southern dances and games. I may or may not have danced a jig with this fine gentleman. 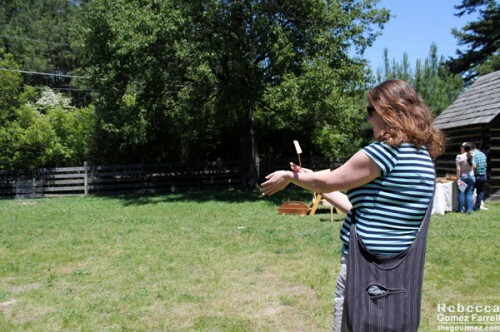 Ellen may or may not have successfully flown a whirligig. 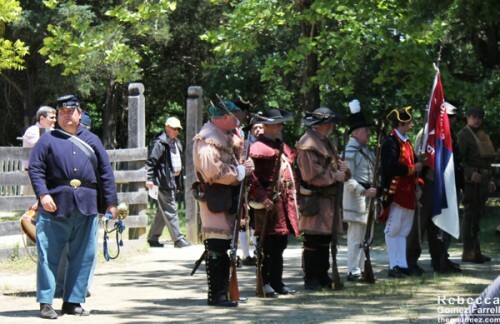 Each reenactor was thrilled to talk about their time periods and anything else we had questions about. 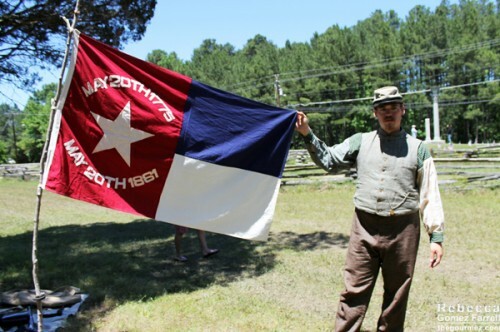 This Confederate soldier showed off the original North Carolina flag in the Confederacy. 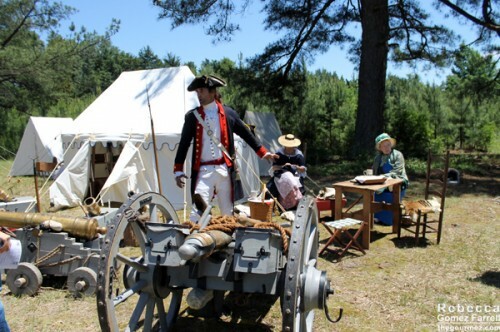 The Revolutionary Way soldier had the finest tent. 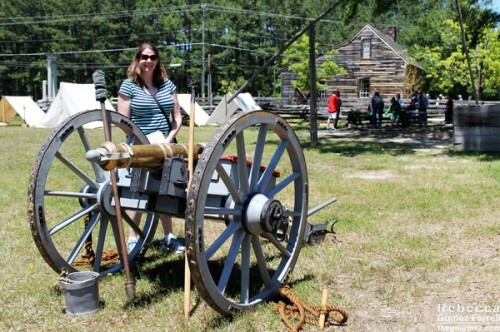 Ellen laughing at my attempts to get her to set off the cannon. 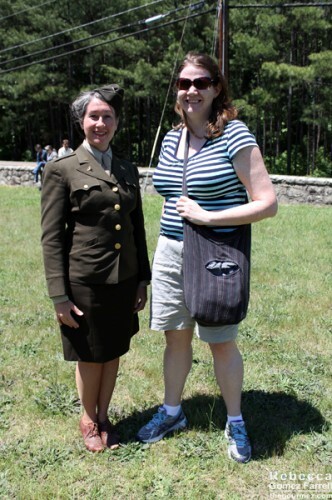 Ellen with a soldier from the Women’s Corp in WWII. 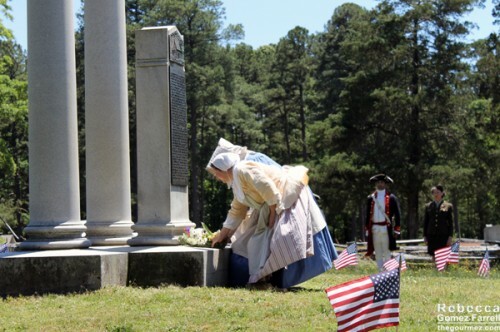 Memorial Day began, as you may or may not know, with Confederate widows placing flowers on the graves of their fallen soldiers, and Bennett Place made that tradition come to life with a procession of all their reenactors. Seeing representatives from so many different time periods in the US made the memorial a really unique experience. 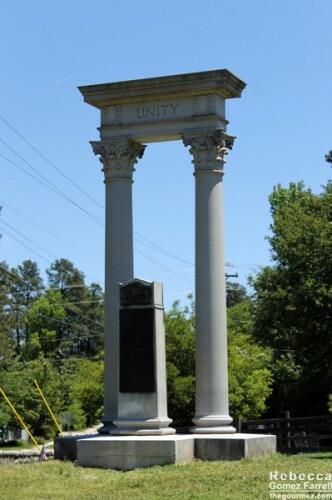 The ones with firearms set them off in tribute once they were assembled near the Unity Memorial. Women laid flowers on the memorial marker. And lastly, a bugler played Taps. It was a simply yet moving way to pay tribute to the US’s many soldiers in many wars, made more poignant by knowing we were in a place that contributed hugely to the ending of the most damaging one our country has ever seen. Dandelions mixed in with the flags. For any Triangle residents who love history but haven’t made it out to Bennett Place, make sure to make use of this little historic treasure in our midsts. Go during a special event to make it that much more memorable of an experience. 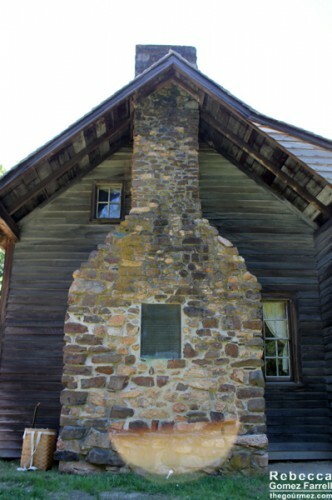 For more information, visit the Bennett Place website. If you want to see my complete photo set from the trip, click here.